Education is probably the best way to overcome the inertia of not wanting to deal with radon. Read the EPA guides, review the web sites in the Connections section. Knowledge is King. The more you know about the risks, the more likely you will take action. 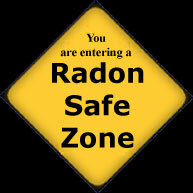 Our goal, at Radon at Tahoe, is to get everyone at Tahoe to test their house for radon and then fix it if it's high. And now, thanks to the internet and specifically Amazon, we're reaching a wider audience, so the goal now expands to beyond Tahoe. The question is: How do we move the bar of awareness to get people to act without causing undue worry or panic? Hopefully, many of us will have no radon no problem. So why risk getting everyone upset? Well, it takes getting concerned enough to test to find the ones with the problem. Who of us would deny those folks a solution that only testing will find? And what's the cost? The test is cheap ($7 from California, free from some county programs and $12 to $20 at local hardware stores). Of course, if you want the benefit of a continuous monitor to test your house over time and then help your friends and neighbors test theirs, you can buy a continuous radon monitor. Either way don't panic, take action. Take the Test. To really understand the solution to radon gas, read and print this excellent booklet by the Environmental Protection Agency: A Consumer's Guide to Radon Reduction. Radon test kits cost $5 to $20. The price includes the cost of having a laboratory analyze the test. More expensive types of radon tests are also available; some of these are do-it-yourself kits, and some are used mainly by professional radon testers. If you cannot find a radon test kit in your community, you can order a low cost test kit from the National Radon Hotline by calling 1-800-SOS-RADON [1-800-767-7236]. If you are a California resident, you can get a $7 test kit from the California Department of Health Services. Local hardware stores and home improvement stores are now carrying them. To use the kit, follow the instructions and set it in a low-traffic, low ventilation part of your house for 3 days. You then reseal the kit and send it in to a laboratory which analyzes the kit and sends you the findings in a few weeks. I like the convenience of a continuous radon tester. It comes with a price tag of $129.95, but it has many advantages over the charcoal radon test kit above. 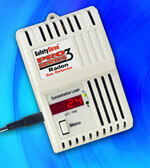 The Pro Series 3 Radon Detector meets EPA required performance criteria to accurately and precisely measure radon. It performs continuous radon monitoring. Displays readings to the tenth of a pCl and has warning signals for both short and long term settings. . It takes hourly readings and displays short and long term readings. It provides an audible alarm if the long term levels exceed 4 pCi/L (4 pico-Curies per liter). These units have an accuracy of +/- 20%, which is better than the EPA required +/-25% of even some professional units. I like this type of unit for the homeowner because you can see if you have a problem in a few days and you can monitor the results of your mitigation efforts over time. 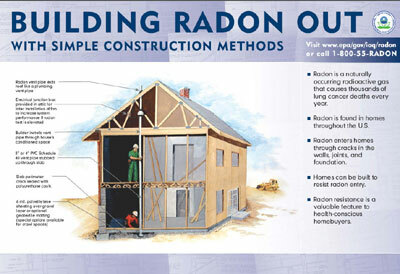 With this unit you can even be a good neighbor and help your friends and neighbors test their homes for radon. Certified radon testers are available in Sacramento and Carson City who will come up to Tahoe for between $100 and $250 for travel expense and $250 to test a house. They use expensive and sophisticated monitors that detect slight changes in pressure to avoid fraudulent tampering with the test. You can view a list of certified testers in California at the National Environmental Health Association - http://www.radongas.org/measurement/CA.html See the Connections page for a list of local radon testers and mitigators that I have found. If you use a professional radon tester in California, make sure they have the proper training and certification. California law (HEALTH AND SAFETY CODE SECTION 106750-106795) requires that all radon service providers in California be certified by one of the two certification agencies approved by DHS. The law carries up to $1000 fine for each infraction. If you test and find you have high levels of radon (4pCi/L or higher) you may want to try mitigating the problem yourself. Now that radon products are available on the Internet, it's not that difficult or expensive, though it is quite a dirty job, crawling around in the crawl space under your house. With the help of a friend or hired hand you can probably get the job done in a few days. (See the Do It Yourself section for details on one type of application. Books are available in the Links section). The benefit is you are in control, the costs are under $1000 (at least they were in my case), you can get it done on your time schedule, and with a continuous radon detection device, you can monitor the results. The downside is that it's another project to add to your long list, you get dirty, and it takes hard work. As a home owner, you can hire some of the work out to paid workers, but you have to monitor the work if they are not certified mitigators. A poorly installed job will leak radon back into your house and you will be no better off than before.. Also, you have to watch for scams. 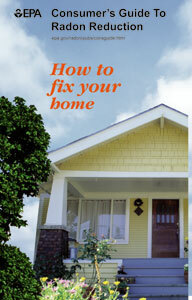 There are many unscrupulous home repair people out there who see a hot market and an unaware home owner as an easy mark. I wish I could be more helpful here, but my research to date has turned up no certified mitigators in the Tahoe area and only two in the entire state! See the Connections page to view the testers and mitigators that I have found. If you use the links and discover more, please let me know so I can post it here. Of course, all the government organizations from federal to state to county to city all recommend using certified professionals, but there are not many out there. That is why this web page dedicated to self awareness and self responsibility, because there are not too many other choices at this time. If you do use a professional, California law requires that all "radon service providers" possess certification from either the National Environmental Health Association (NEHA) http://www.neha.org or National Radon Safety Board (NSRB) http://www.nrsb.org . Just try finding one! For any contractors out there who want to get certified, these organizations can point you to training providers. The closest one to us is in Colorado. Real Estate professionals: Visit the Real Estate page to view suggestions for developing a Radon Strategy. 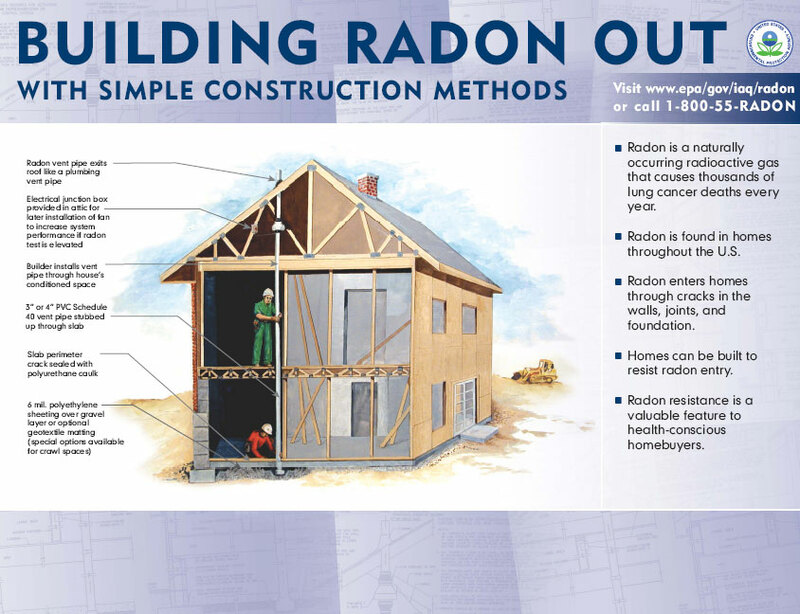 To better understand the radon issues involved in real estate transaction, read this booklet by the Environmental Protection Agency: Home Buyer's and Seller's Guide to Radon. For real estate transactions, you should use the services of a certified radon tester to get unbiased, properly performed radon testing and report. The real estate industry could have a real impact on eliminating radon gas in all homes sold, as more agents recommend that their clients test for radon prior to the sale. California law can levy a $1000 fine on any radon service provider that is not certified to do radon services in the state. We have to find ways to get the real estate professionals on the side of testing and away from the fear of radon as a "deal killer." The Colorado brochure, Dealing with RADON in Real Estate Transaction, and video, below, is a step in educating buyers, sellers and agents that radon testing and mitigating is not something to avoid, but just another step to getting a new buyer into a health home. California and Nevada should produce and distribute a similar booklet. "In April of 2004, I had a very bad cold, so my doctor performed a chest x-ray to check for pneumonia. I've never smoked, so you can imagine how shocked I was that he found a 4.5 centimeter mass in my left lung. Two days later I had surgery. I thought I was surely going to die. When I woke up choking with tubes in my throat, panic set in. They had removed my entire left lung. I'm getting better. I can walk up to a mile. But, I can no longer dance, lift things, or exert myself. My clients now get a very personal testimonial about the importance of testing for radon." This story was excerpted from the Cancer Survivors Against Radon (CANSAR) web page at http://www.cansar.org . The obvious ramification is agents may be even more liable for persuading the buyer from performing a radon test because, we dont have any radon in this neighborhood, or this house doesnt have a basement or whatever excuse they can provide to avoid a perceived hurdle to closing the deal. HUD is requiring their Form to be signed and dated prior to the contract being signed and clearly recommends that all houses be tested for radon." 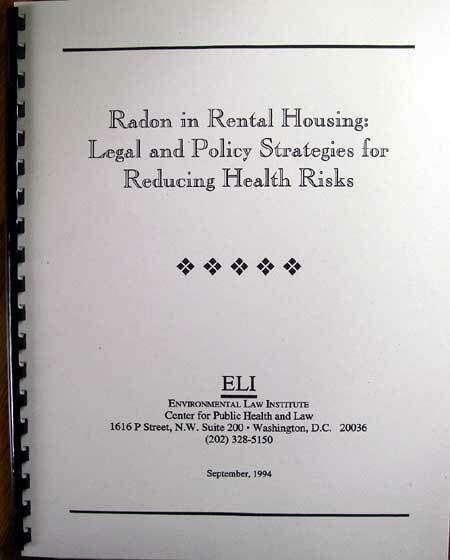 To really understand the radon issues involved in renting, read and print this booklet by the Environmental Protection Agency:A Radon Guide for Tenants. Tenants should do their own testing and not wait for the property owner to get around to it. If the results are above 4 pCi/L they should show the results to the property owner and request mitigation measures. Given the severity of the problem, and as pressure mounts, property owner associations will hopefully provide their members with guidelines for mitigating apartment buildings and residential rental properties. However tenants will have to be proactive here. Because of the costs of testing, mitigation and possible litigation, some property owners may have been hoping the issue would remain as hidden as the radon itself: "invisible, odorless and tasteless". Environmental Justice Grants - funds community-based organizations and tribal governments addressing environmental concerns of people of color and low income communities. For more information, call EPA's Office of Environmental Justice at (800) 962-6215. The Colorado Department of Public Health and Environment and CERTI, have produced two resources that explain radon in a manner that is designed not to scare people. Yes, radon is an issue, but is one that need not delay a closing. In fact, on the front cover of the brochure, it boldly says: "If you like the house, buy it - radon can be reduced." " Until California and Nevada produce similar material with references to our region, this brochure and video are a good complement to completing any real estate transaction involving radon. For a free PDF copy of the brochure, click here. This video satisfies a long-standing need for a short visual educational tool on how to best include radon in residential real estate transactions. 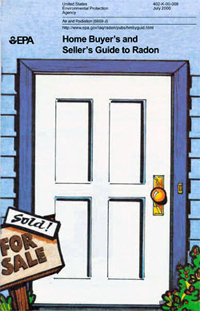 With a bit of light humor, the video covers the basics, including radon science, the lung cancer risk, home inspection, building a new home radon-resistant, testing and fixing a home, disclosure, state radon offices, hotline and web resources, and key radon numbers, e.g., EPA's action level and the US indoor and outdoor averages. The primary audiences are home buyers and sellers, and real estate sales agents and brokers. Home inspectors, mortgage lenders, other real estate practitioners, and radon services providers will also find the video helpful. Single copies of the video are free from IAQ-Info (1-800-438-4318) in VHS, CD and DVD formats [ask for (EPA 402-V-02-003) (TRT 13.10)]. As with most things, it's cheaper and easier to install radon mitigation systems when a house is being built, rather than to retrofit an existing house. Average cost added during construction: $500. Average cost after construction: $1,200 to $2,500. Why don't we see it more often? I think the answer is lack of awareness. Once consumer demand it, builders will offer it. This comprehensive 85 page manual, Building Radon Out: A Step-by-Step Guide on How to Build Radon-Resistant Homes, is aimed at the construction trade. It is available form the EPA publication web site. Give one to your local building department. They need to get on board. EPA's page on RRNC. Or download the pdf file and print it yourself, 8MB. In the Spring of 2008, in an effort to educate and persuade more contractors to use RRNC (Radon Resistant New Construction) methods in the Angora Fire area, Radon At Tahoe distributed a Build Radon Out flyer to all building sites. The flyer is also available in the El Dorado County and City of South Lake Tahoe Building Departments. One side of the flyer is an EPA Building Radon Out poster. (This is the same poster we hope to place in the El Dorado County Building Department. More on that later). The other side lists the building requirements for RRNC and encourages builders to either hire the process out to a certified radon mitigator, or to read the books and do it themselves. Read the flyer . How Many Homes Are Built With Radon-Reducing Features? Only 5.8% of approximately 1,124,000 single-family detached homes built during 2001 incorporated radon-reducing features, which translates to about 65,000 homes. This brings the cumulative total of single-family detached homes built with radon-reducing features since 1990 to over one million homes. How many homes do you think we have in this county? Over 100 million? That's one percent or less! That's deplorable. Only 11.7% of approximately 255,000 single-family detached homes built in Zone 1 (homes with high radon potential) during 2001 incorporated radon-reducing features, which translates to nearly 30,000 homes. This brings the cumulative total of single-family detached homes built in Zone 1 with radon-reducing features since 1990 to over 600,000 thousand. * What about the other 225,000 homes built in Zone 1? How many of those folks will get lung cancer because their builder or building department was too busy with other things to protect their client's health? The National Association of Home Builders (NAHB) has a responsibility to use safe building practices and policies. They need to do a better job. * These results exclude homes built on pier-style foundations. All newly built homes in Minnesota should be tested for radon after they are completed and occupied. Early detection of elevated radon levels can help protect the homeowner's financial interests if the radon problem is due to construction problems and can allow the homeowner to take appropriate actions to lower the radon level and protect the health of their family. The IRC is the code book that most building departments use to draft their own building codes. The IRC for 2003 includes Radon Control Methods in Appendix F. Getting local building departments to adopt Appendix F in their codes or at least in their recommendations, has not been an easy task! Nevada is a non-regulatory state, meaning that they don't require radon certification for radon service providers. California is a regulatory state. However neither California nor Nevada building departments require or recommend that houses be tested for radon (as the EPA recommends) or that RRNC be used on new construction in Zone 1 (counties with very high radon levels), as state health departments are starting to recommend.. It is our goal to get this changed. We need to come up with a Madison Avenue type marketing campaign to put radon testing on everyone's mind. Marketing sells soap, so why not radon testing? The Marketing Page is an attempt to get us started. You can even participate in designing the next Great Radon Marketing Program. Put on your thinking caps and click here. Radon at Tahoe is proud to offer discounts on home study radon courses through CERTI - Center for Environmental Research & Technology, Inc.
Radon at Tahoe is working with local area hospitals and both the California and Nevada radon offices to offer all new mothers a free radon test and information packet when they leave the hospital with their new baby. This could ensure that every newborn baby has the chance of growing up in a radon-free home. The plan was started in Pennsylvania and has been successfully adopted in many other states. Most funding is through EPA SIRG funds to state radon offices, which publish the packet and monitor the program. Read the KRNV Channel 4 Reno newsbrief on Pennsylvania Governor Rendell's promotion of the program. We have also contacted both California Governor Schwarzenegger's and Nevada Governor Guinn's offices for support. Fashioned after the successful Pennsylvania Newborn Radon Program (including logo and even color! ), the Lake Tahoe Newborn Radon Program now provides free radon test kit flyers for all parents of newborn babies at Barton Memorial Hospital in South Lake Tahoe. The green cover surrounds the Radon in California flyer provided by the California Department of Health Services Radon Program. 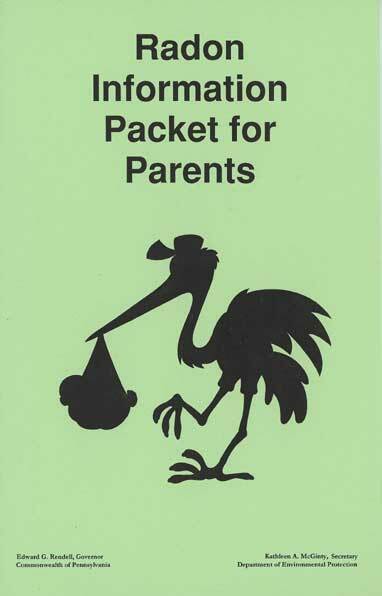 The text encourages new parents to provide a clean and healthy environment for their new child by testing their house for radon. Free test kits are provided through the DHS Radon Program. It is hoped that this first (to our knowledge) radon outreach to new parents in California will be taken over and produced by the State Radon Program as grant funds are made available. Print our initial try at a Tahoe Newborn Radon Brochure. June 5 - 8, 2006 with 13 scholarships available through Adrian Howe of the Nevada Radon Office! You can contact Adrian to find out when these classes will be offered again.